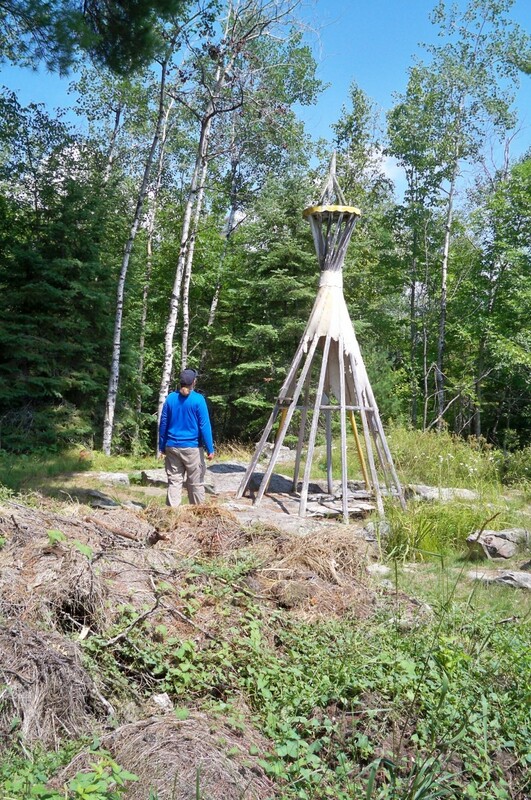 After finishing our canoe-camping trip in the Boundary Waters, my husband and I decided to make our way down the North Shore of Lake Superior and then inland, ending up in Voyageurs National Park. But we really knew nothing about the Park or what we'd do once we got there. That part of our trip to northern Minnesota was completely unplanned. So here's what we found, learned, and did when we arrived at Voyageurs National Park (VNP). We saw only a small portion of the Park in the few days we had left of our vacation, but now we know what to expect and what to do when we go back. And I'm sure we will. You can add a comment below the poll if you'd like, to tell us what you did there and what you thought of the park. 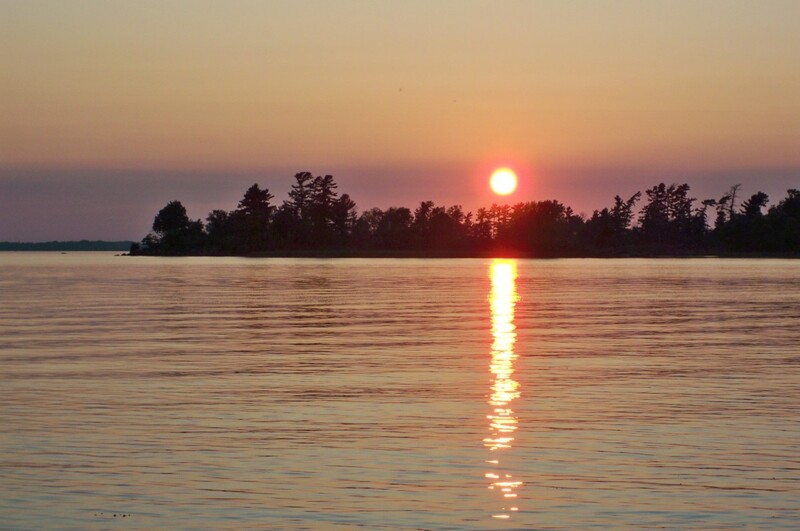 Have You Been to Voyageurs National Park? 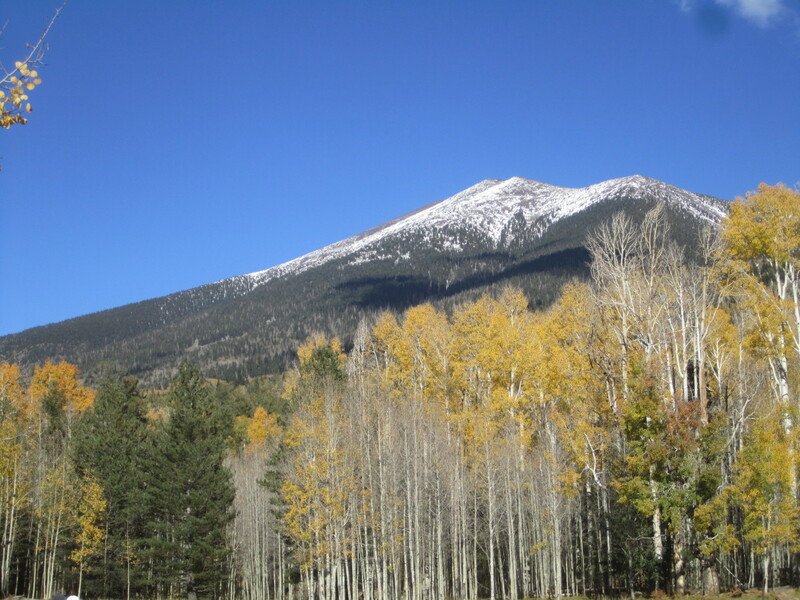 *The park encompasses 218,054 acres. *Of that area, 84,000 acres are water. *There are 4 major lakes and 26 interior lakes in VNP. *There are 655 miles of shoreline in the park. 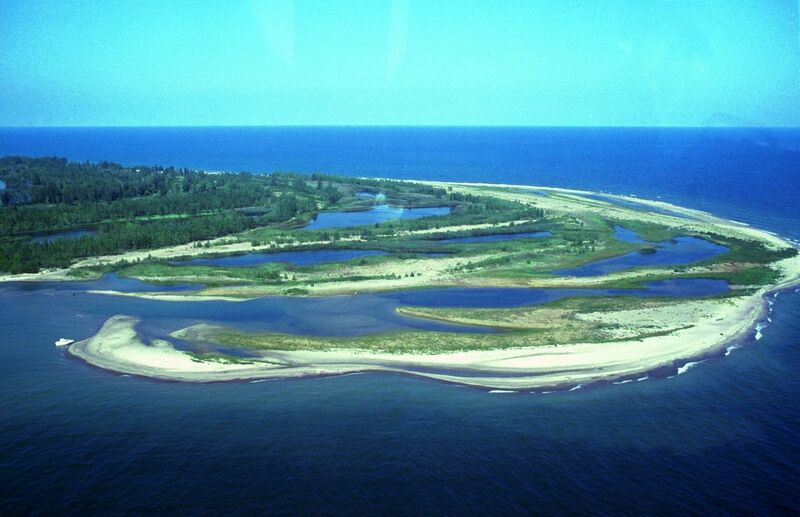 *There are more than 500 islands in VNP. *The Boundary Waters Canoe Area Wilderness is east of and adjacent to the park. Be prepared before you go and get the most out of your visit. This map is printed on waterproof, tear-resistant, material, which is what you'll need if you do any paddling in this water-based park. The map includes park information for all seasons, hiking trails, campgrounds, portages, snowshoe and snowmobile trails, access points, roads, and park services. You'll also find information on boating, fishing, kayaking, power boating, and more. This guidebook is written by a veteran paddler, with an overview of what to expect and how to prepare for boating in the Boundary Waters, including Voyageurs National Park, detailed maps with access points and routes, and each waterway's character, difficulty, and the best times to paddle. The book also contains lists of local paddling organizations and information resources, recommended trips for experienced paddlers and novices alike, historical information and wildlife. Voyageurs National Park isn't like most of the other National Parks I've been to, where you drive up to a main entrance gate, pay or show your annual National Park pass, get some information from a ranger, and proceed to a parking area and some sort of main building before moving on to explore. Voyageurs National Park, on the other hand, is more spread out and doesn't "funnel" you to any particular point. There's no entrance gate to this Park and no concentrated visitor area. When Steve and I got to the general area of the park, we first went to Woodenfrog State Forest Campground on Kabetogama Lake, which we'd read about online, and secured ourselves a site. We put up our tent but then didn't really know what should come next. So we drove back down the road a short way and ended up at a boat ramp, where we perused brochures available at the information board. 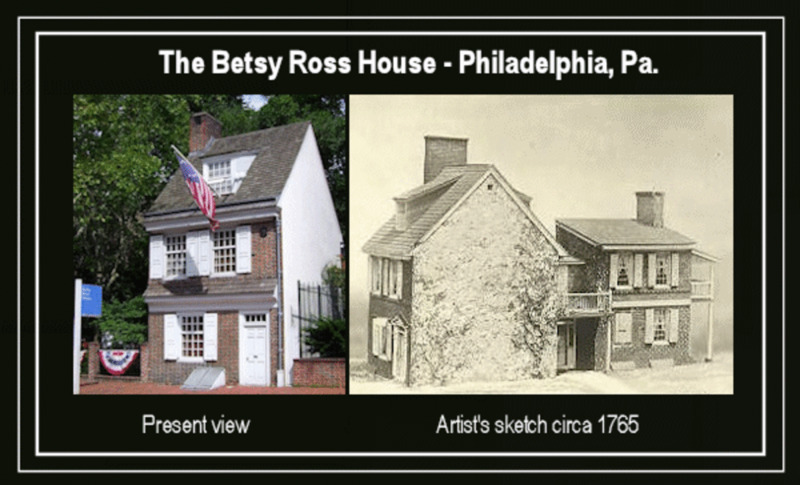 We learned there were several Park visitor centers and figured we should go directly to the nearest one to find out what was up and where and how and what to do. So we walked into the Kabetogama Lake Visitor Center, and I said to the smiling ranger who immediately stepped from behind the desk to greet us, "Hi, we're clueless." And that was all I needed to say. The ranger was very helpful in explaining the park, showing us the map and giving us suggestions and more brochures. After that visit, we didn't feel lost at all. So that's how I recommend you begin your visit to Voyageurs. 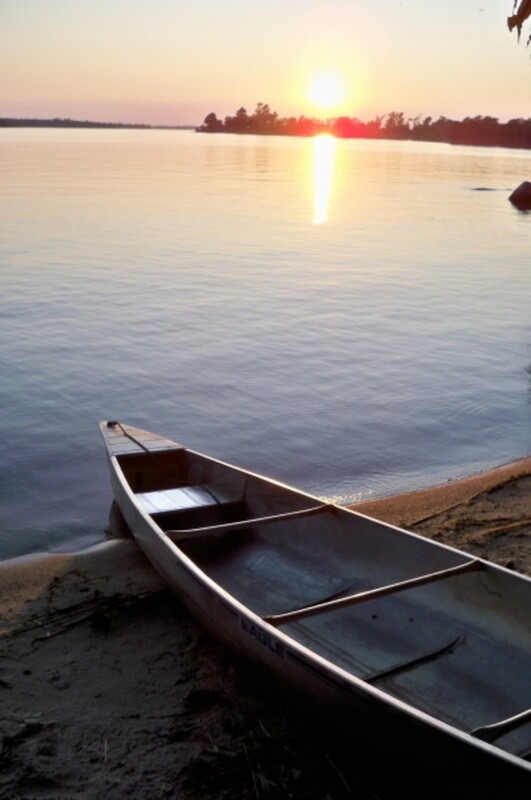 Voyageurs National Park is a boater's paradise, whether by paddle, motor or sail. There are four major lakes in Voyageurs National Park -- Rainy, Kabetogama, Namakan and Crane Lake, with Kabetogama Peninsula in the middle of it all, accessible only by water despite what the name (peninsula) implies. 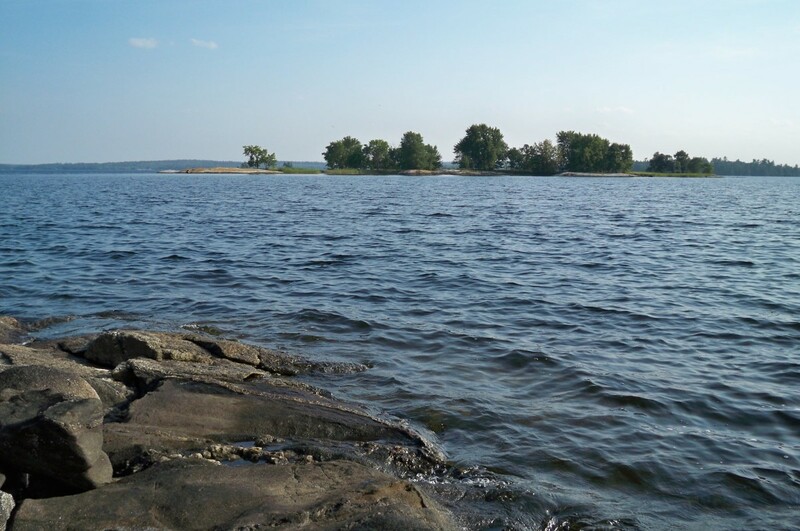 Within Kabetogama Peninsula are many interior lakes, which you can get to by first taking a boat to the peninsula and then hiking one of the trails. 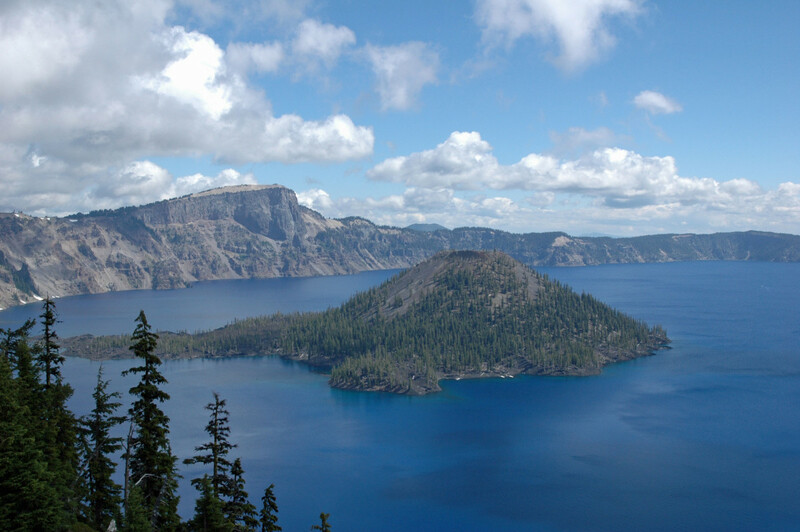 At that point, you can use a rental Park Service canoe or rowboat to explore and camp. 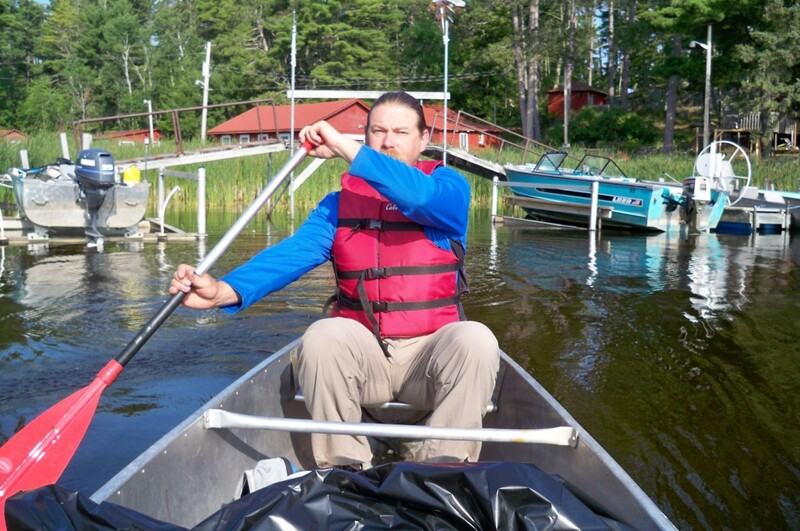 Reservations for the interior lake boats can be made up to a week in advance by calling (218)286-5258 or (218)875-2111. From mid-June to mid-August, there is a regularly scheduled Park shuttle to the Locator Lake trailhead on Kabetogama Peninsula, where you then hike 2 miles to the interior lake. 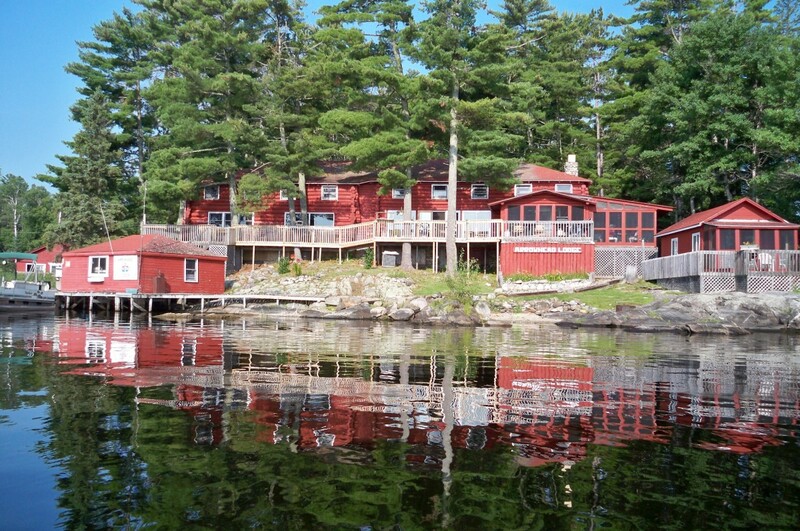 Rainy, Kabetogama and Crane Lakes have a number of resorts on their shores, with cabin rentals, camping and sometimes lodge rooms available. Within the Park, there's summer lodging at the historic Kettle Falls Hotel, managed by a private concessionaire. This is the lake my husband and I visited on our recent trip, where we spent our first night at Woodenfrog State Forest campground. The next morning, we rented a canoe from Arrowhead Lodge (see below) and paddled out to an island campsite. After setting up our tent on Grassy Island South, which we'd have all to ourselves for the night, we paddled the rest of the way across the lake -- another 2.5 miles -- to Ellsworth Rock Gardens (below) for a picnic lunch. 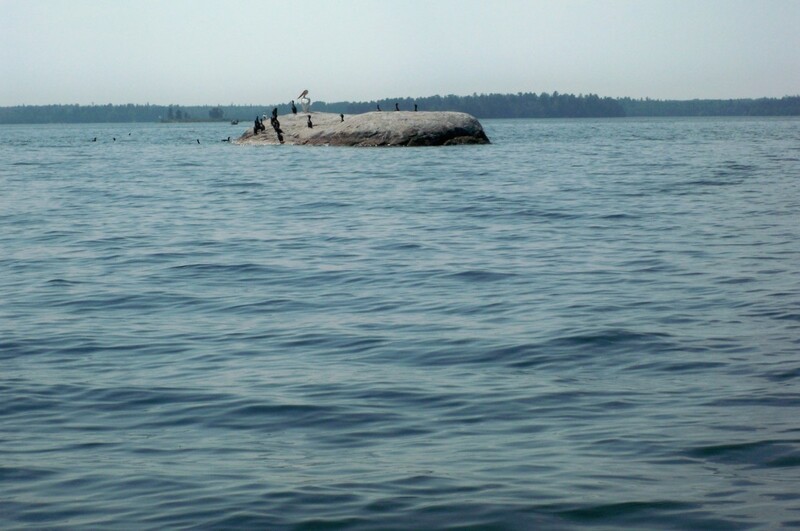 On our paddle across Kabetogama, we passed a number of large rock islands covered with cormorants and white pelicans, and numerous loons paddling and diving nearby. 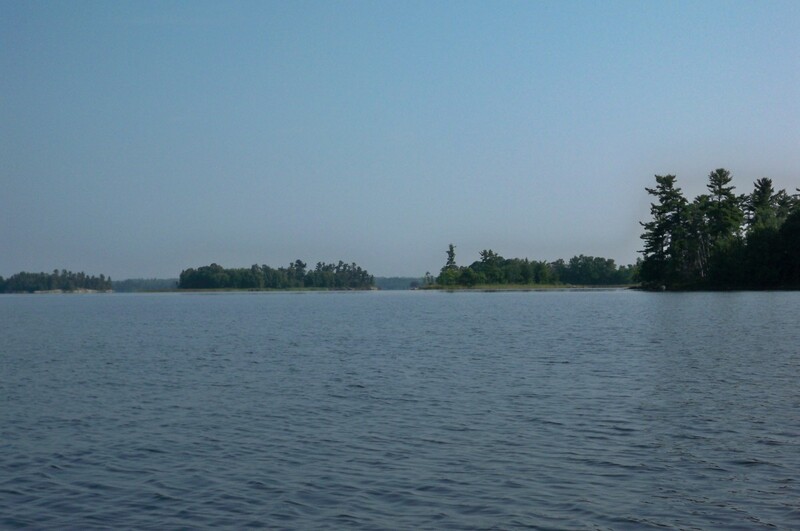 There are more than 200 islands of varying sizes on Kabetogama Lake. Many lake shore rocks were covered with colorful lichen. It was like artwork. 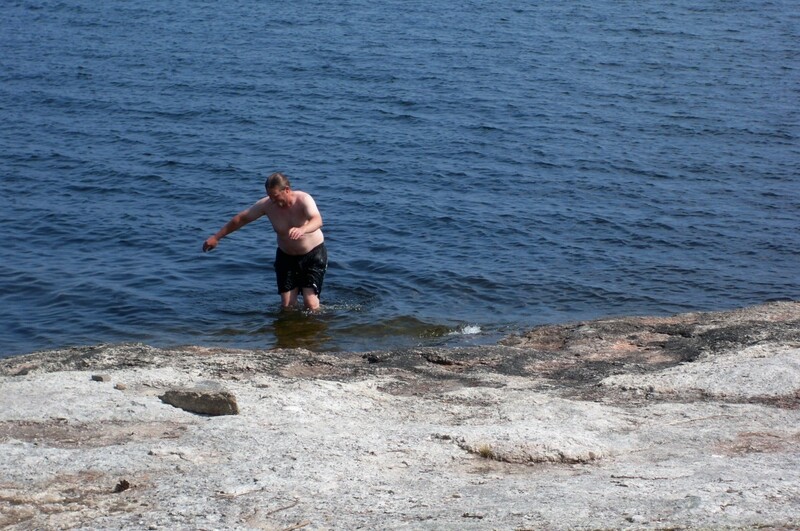 Steve tries to catch a fish with his bare hands on the shore of "our" island. But he comes up with fish bait instead--a HUGE leach. Ew! On our map of Kabetogama Lake, Steve and I saw "Ellsworth Rock Gardens" on the far shore and, not knowing what we'd find there, decided to paddle the three miles across and check it out. What a lovely place we found, and we enjoyed a picnic and a walk around the area. 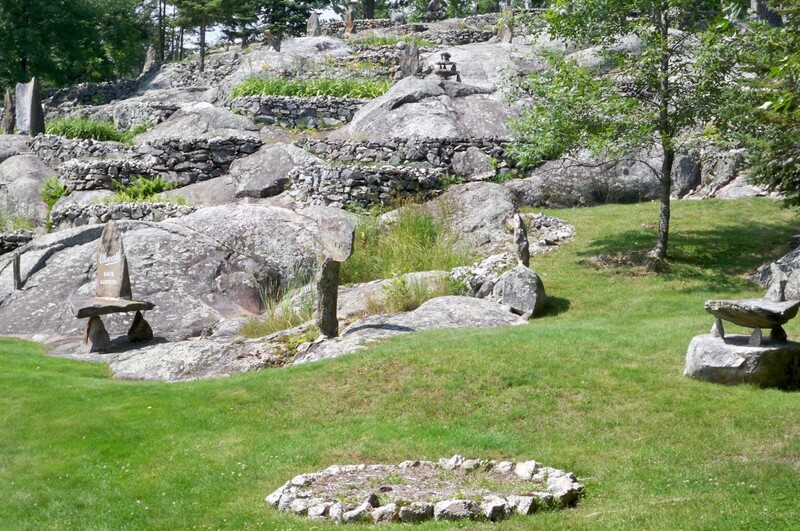 From 1944 to 1965, a man named Jack Ellsworth created terraces on the 60-foot granite outcrop on what was then his vacation property. The terraces contained 32 varieties of flowers, including 13,000 lilies. The gardens, now being refurbished by the Park Service, are filled with stone and concrete sculptures. I remember reading on the interpretive sign that Mr. Ellsworth said he made the gardens because he "just needed something to do." The sign mentioned 15,000 hours of work, and it's evident when you see all of the huge rocks and countless smaller stones Mr. Ellsworth had to move. 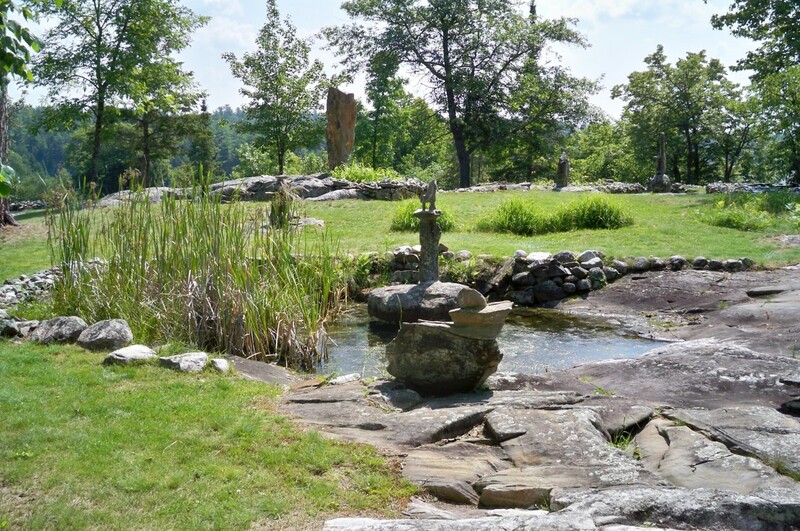 Ellsworth Rock Gardens is a beautifully groomed area, with a covered picnic pavilion and a large, grass lawn. 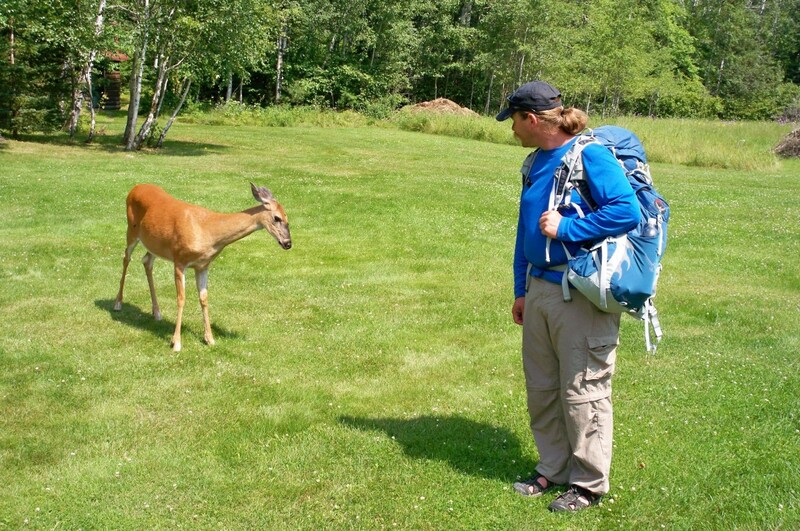 While we were there, we were visited by a bold deer who's obviously used to getting handouts (though feeding wildlife is supposed to be prohibited). Still, it was lovely to get a long, close-up view of the beautiful animal (which we didn't feed). The Ellsworth Rock Gardens are accessible only by water. You can take a water taxi if you'd like or one of the naturalist-guided boat tours that depart from the Kabetogama Lake visitor center throughout the summer. Arrowhead Lodge is located right next to the boat ramp at Woodenfrog State Forest Campground, which is how we ended up wandering over there. We'd seen on the campground board that there were showers available at the lodge ($3 per person if you're not staying at the lodge, or $4 if you need a towel), and we were also interested in renting a canoe from them for an overnight trip (for which they charged us just $20). The lodge was so nice and the owners so friendly, we decided to stay there for a night after returning from our canoe-camping outing. Built in the 1920s and early 30s and open year-round, Arrowhead Lodge is a beautiful, relaxing, family-owned and friendly place to spend some time, whether you rent a 1 to 4-bedroom cottage, stay in one of their cozy, upstairs rooms in the lodge, or use an RV space. You can sit and read or just relax by the lake, by the fireplace, on the lawn, a deck or dock, or at the rustic bar in the lodge. You can rent a motorboat, a canoe, a kayak or pontoon and do some fishing or just sightseeing and wildlife-watching on the water. Or maybe even take a guided tour with Captain Larry, who'll teach you about the history of the area, points of interest, lake lore and more, with tours being as long or as short as you'd like. 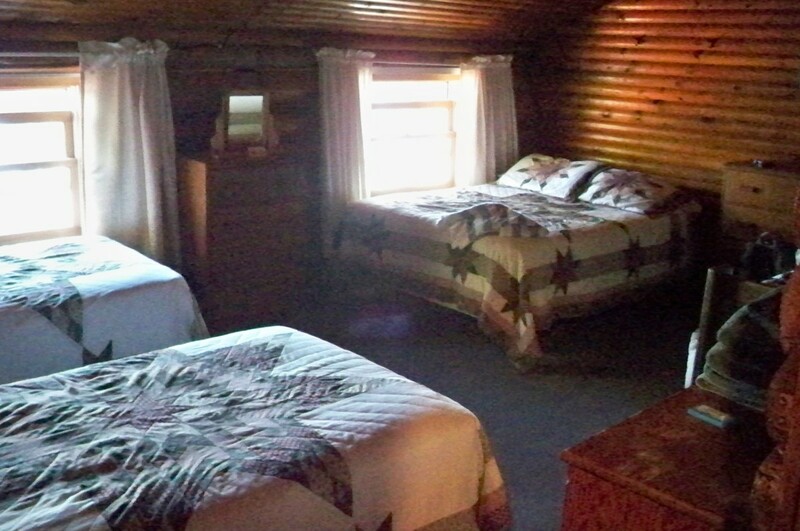 And there are activities for the kids as well, and they can earn their "Arrowhead Lodge Jr. Camper Badge" in the process. They can learn to read a compass, read a map, how to canoe and kayak and other wilderness "survival" activities with instructor and Eagle Scout, Dave McRoberts, who has a degree in Outdoor Education and has developed and instructed high angle ropes courses. And you can eat your meals at the lodge, too, if you choose, with 1-, 2- and 3-meal plans available. Dinners include homemade soups, salad, a main course and a dessert. They'll pack a lunch for you, if you'd like, so you can spend the full day on the lake, or you can prepare your own meals on site, with refrigerators, gas stoves and bar-b-ques, microwaves, coffeemakers and toasters at your disposal. 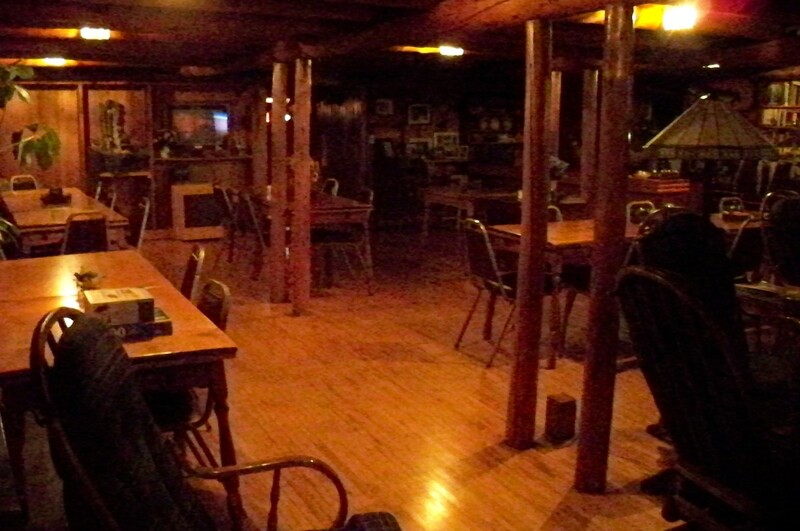 Arrowhead Lodge can accommodate large groups for retreats, family reunions, business meetings and fishing groups, with a large work area great for quilters and scrapbookers. There's also a nice screened-in porch, so you can enjoy the fresh, summer lakeside air in the evening without the mosquitoes. Like to read but forgot to bring a book? No worries, there are lots of them in the lodge for you to borrow, both fiction and non-fiction and a regional collection as well. There are loads of games you can borrow and play, a pool table and videos to watch on the large screen TV in the lodge. 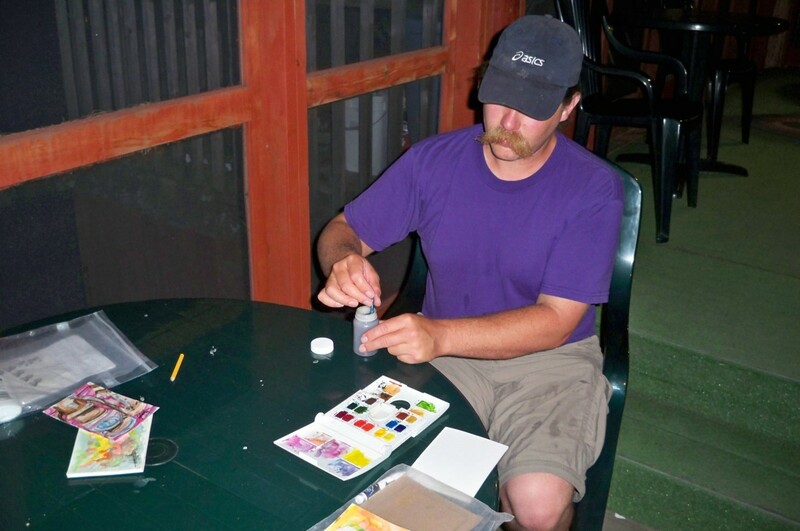 Steve enjoyed painting on the screened porch one evening, while I read and we listened to the water lapping against shore. You can pick up a Voyageurs National Park guide at any of the visitor centers with the following information and much more. You can also get a Camping, Houseboating, and Day Use Map which shows where the different types of campsites and day use sites are located throughout the park. You can collect up to one gallon of berries for personal use, but otherwise can't collect anything from the park, including plants, animals, rocks, artifacts, historic objects, flowers or pine cones. You can collect dead wood that is no longer standing but not live trees or even dead trees that are still standing. No firearms are permitted. Also, no air spring powdered guns, archery equipment or fireworks. And hunting is not allowed in the park. Pets are allowed, but NOT on park trails or in the backcountry. Otherwise, they're allowed in developed areas, at campsites and picnic areas and on boats, but they do have to be leashed. Bear-proof your food and other "smelly" items (ie. toothpaste, deoderant) in the bear lockers provided at campsites or by hanging properly. Private float planes are allowed on the four major lakes--Rainy, Sand Point, Kabetogama, and Namakan--but are otherwise prohibited on all other waters within the park. You must have a Minnesota fishing license to fish in the park. These can be obtained at area businesses and at visitor centers. If you want to cross the border and fish on the Canadian side, you can call (807)274-3655 for regulations. The U.S. number is (218)283-0769. Visitors must not bring in firewood from unapproved vendors or from out of state. You can get firewood from an approved DNR vendor or collected according to the rules of Voyageurs National Park. For more information on firewood in Minnesota, go to DNR.state.MN.US. On interior lakes, only artificial fish bait is permitted. No privately-owed watercraft or float plane landings are allowed. 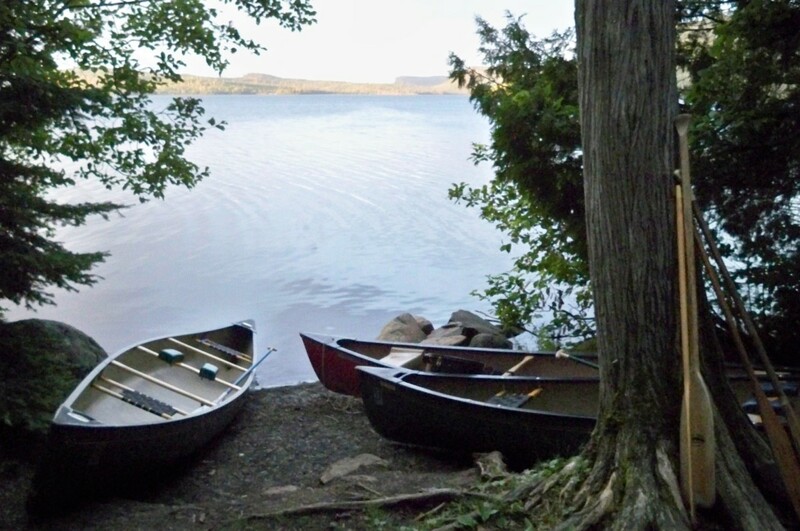 There are canoes you can rent for $10 per day from the Park Service. Ask about reservations at one of the visitor centers. All campsites within the park are accessible only by water, so you need a boat. Car camping is available at private campgrounds and at Woodenfrog and Ash River state forest campgrounds. All park campsites are free, except for group sites, which are $35 per night. A free permit is required for all overnight stays in the park, but they aren't required for day use. You can get a permit at the park visitor centers and all park boat ramps. Fill out one permit per party--either an individual or a group--and display your copy on your tent, food locker, or houseboat, in case a ranger visits your site. Place the carbon copy of your completed permit in the appropriate box before you head out on the water. A permit is not a reservation for a campsite. 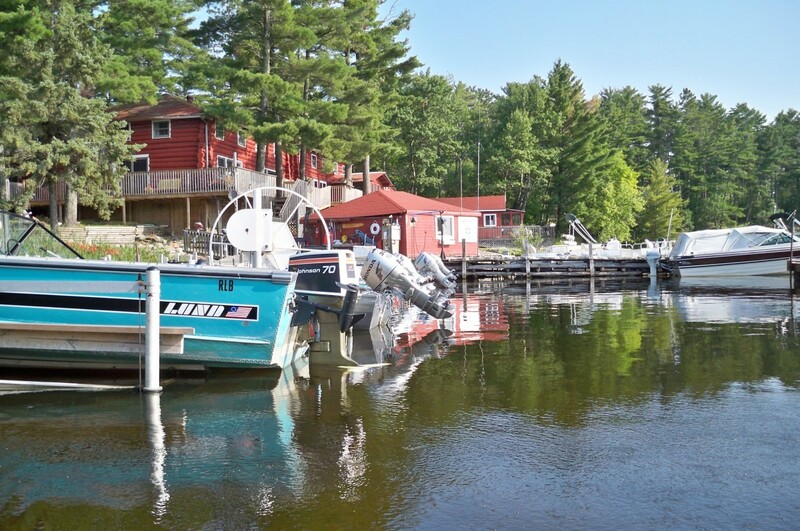 Sites are on a first-come/first-served basis, EXCEPT for the Voyageurs Narrows handicapped accessible site and group sites, which require a reservation. Between May 15th and September 15th, overnight stays are limited to 14 days at a specific site and 30 days in a calendar year. Campsites shouldn't be left unattended overnight. Tent campers can't stay overnight at a houseboat site, or vice versa. You must use the tent pads provided at the campsites. 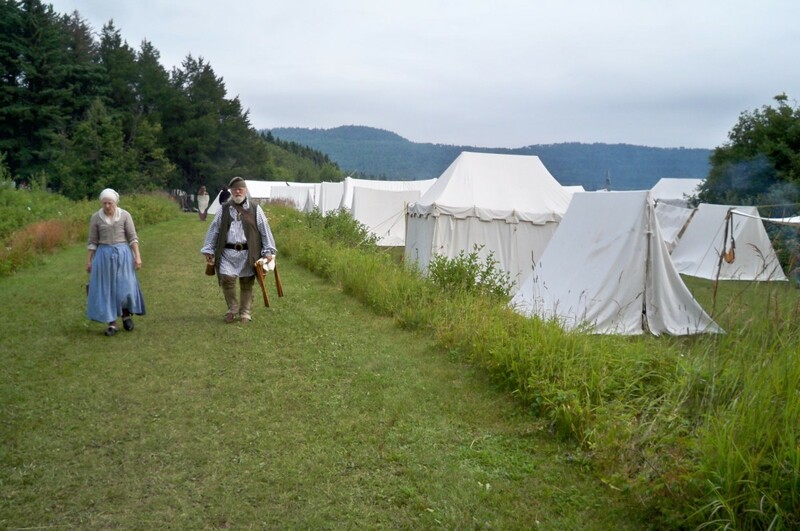 Small sites have two pads, while larger tent sites have three or more. Group size limits at campsites are: 9 people at small sites, 18 people at large tent sites, 2 houseboats at the houseboat sites, and 30 people at group tent sites. 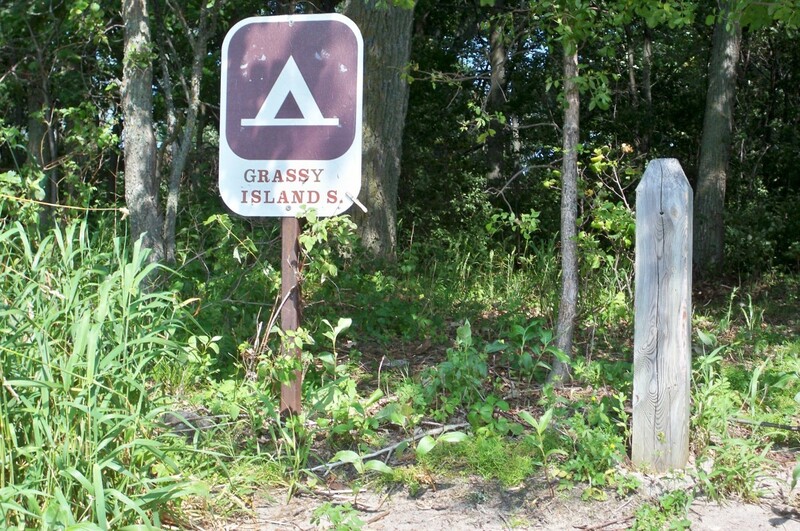 Established campsites all have firegrates, bear-proof lockers, pit toilets and picnic tables. No camping is permitted at day use areas. For group campsite reservations, call 877-444-6777 or go to Recreation.gov. To reserve the accessible site at Voyageurs Narrows, call 218-875-2111. For information on the State Forest campgrounds, call 218-365-7229 or visit DNR.State.MN.US/state_forests. Choose from designated campsites, mostly on a first come/first served basis. Want to do some paddling, for a day, a week or more? This guide can help you pick a route that suits your needs and the type of trip you're looking for, whether it be for fishing and relaxing in one place or more of a journey. This book includes an overview of what to expect and how to prepare for your canoe or kayak trip, maps showing access points and routes, information on each waterway's character, difficulty, and the best times to paddle, lists of local paddling organizations and information resources, trips for experienced paddlers and novices alike, and the historical importance and wildlife of the area. "While paddling close to shore in the Boundary Waters one evening, looking for wildlife as the setting sun created artwork on the surface of the still lake, my...."
"Each year on the first full weekend of August, National Park Service staff and hundreds of volunteers re-create a fun and very authentic Voyageur Rendezvous...."
"As my husband and I were driving along quiet Highway 169 on our way from the North Shore of Lake Superior to the town of Ely, Minnesota, we passed a sign that read...."
I've been meaning to go to Kabetogama lake with my family. Thank you for this. No, but it looks like fun! Beautiful lens by the way! Thank you for sharing! I'm surprised you have no mosquito pictures...maybe you didn't have a wide-angle lens :). I love MN, but have never been to this park. I'm adding it to my to-do list! What a fun lens - chock full of great information! I haven't been to Voyagers National, but I LOVE northern Minnesota, and I've lensrolled this to a couple of my lenses on the area. Stopped by to visit one of my favorite places! 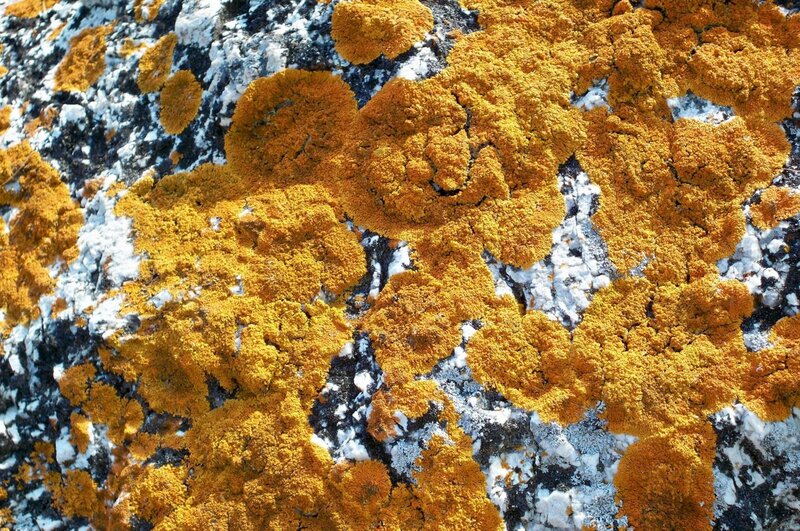 As I was scrolling through, I found myself particularly looking forward to your pictures of the lichen (I love lichen), the leach (now that's an odd thing to appreciate), your canoe pulled up to shore (inviting) and Ellsworth's Rock Gardens (a piece of heaven). Kabetogama and Voyaguears National Park are having normal chilly weather for this time of year, have had a lot of rain and wind but the snow storm that hit North Dakota, Minnesota and Wisconsin missed Kabetogama. Of course, the winter season brings it's own tourism and for that, cold and snow are quite necessary. Happy days to you and thanks for your kind thoughts in my direction in regaard to my back. I've had a couple set backs but am on track again and looking forward to not having to be so careful. I sure do enjoy stopping by here, feels like home! I've been putting this message in some of Susie's guest books and thought I'd stop by here as well. Just thought I would alert all those planning their dream vacation trip to Kabetogama/Voyaguers National Park--BRING MOSQUITO REPELLENT! Recent frequent rains in the northland has brought ideal conditions for mosquito breeding--they like standing water, so dump any containers outside every couple days to prevent hatching. I've found that repellent with DEET is the most effective but it's use is a bit contorversial--use it sparingly , preferably on clothing rather than the skin. Be sure to bring long sleeved shirts, long pants, light jackets, etc. Pray for a good breeze to keep the pests away. Enjoy the camp fire, mosquitoes don't care for smoke. During the day, most of the problems with mosquitoes is in the shade. Why am I sharing this? Well last evening I went for a walk in the northland wearing shorts and a tank top and almost turned back before I got out of the yard--I was essentially mosquito bait! I thought it would be better once I got on the back road--nope! I spent a half hour swatting, trying not to breathe as I've heard mosquitoes are attracted to our exhaled carbon dioxide--well that didn't work so well. Yup, that will be me walking again tonight--the pleasures of being in this natural beauty far outweigh the little inconveniences. @anonymous: Hey, Tipi! Since I'm over here in Nepal for three months, I don't think any other big trips are in order for the rest of the year (just small stuff closer to home). Definitely NEXT year, though. That's the plan. Are you living back there now, or do you just visit?? Here's a "wish you were there" moment. Tomorrow night there is a full moon and the folks at VNP will celebrate it with a phases of the moon presentation by park naturalist Kim Reich to be followed by a snowshoe trek in the moonlight. The evening will end with conversation around a campfire. All you have to do to participate is show up at the Rainy Lake visitors center for this free event. I've attended many of the VNP naturalist programs over the years and always learned something new about the area even though I grew up at Kabetogama. @anonymous: Hey You! Any plans to go to Kabetogama Lake this year? I would certainly met up with you and Steve, if you have the same timing. I need to get caught-up with you and the book. The Minnesota's Governor's Fishing Opener was at Kabetogama this year. He caught a 22" Walleye and some other. ~ Loves and blessings! Had to stop by to commemorate Voyaguer's National Park marking it's 35th anniversary on April 8th! We had the earliest ice-out on Kabeotgama in history on April 3rd this year. The next earliest time was on April 13th. Many years folks have been praying and crossing their fingures and toes that it would go out for the fishing opener. Speaking of the fishing opener, it will be a big one at Kabetogama this year as Governor Pawlenty will be casting his line there this year. @anonymous: Hi, Tipi! Thank you and Happy Easter to you as well. I can't wait to get back up there to VNP and the Boundary Waters. Probably won't happen this year because of the Nepal trip, but 2011 for sure! Happy Easter Deb and Steve. ~ On April 8, 1975, Voyageurs National Park was authorized as the nation's 36th national park. The park and its partners are remembering those years and celebrating the future with 35 special activities for the public and are for all ages to experience Voyageurs National Park. Happy new year to you Deb. I wish you all that you can dream and reach for. You dream big and your reach is far. On top of that, you are a sweet person. Once again I enjoyed visiting this lens, because it grounds me to my roots. I'll be moving back to Kabetogama, right now I'm not sure when. I'm so happy! I think this place looks fantastic. This is just terrific! Haven't been up there although our son and his wife have. But this really makes me want to visit VNP. I'd stay in the Lodge, though...I'm just not a camper at heart - ah! I'm adding this as a Featured Lens on my Northwest Angle of Minnesota lens. Good old Minnesota! Thanks for visiting our nice state. I use to work at Arrowhead as a teen, mostly in the kitchen but sometimes I helped with cabin cleaning, forgot to mention that. It's a beautiful place, never did stay there though. The pictures bring back so many memories. I can hardly wait to go visit Mom again in October. Wow! An excellent presentation of the land that I love and call home, yup, I grew up there with Susie aka Tipi. I agree with her that you have definitely captured the essence of the land that we love and must say that you must be a very tuned in person to have accomplished that in such a brief time. It was a pleasure to enjoy Kabtogama and VNP though your very sensitive presentation. My soul is well satisfied, I've been home! Bless you. Wonderful lens that is now one of my favorites and I'll be more than happy to get this featured on all of my Kabetogama &amp; VNP lenses. You have brought the essence of my home land to my senses. I could smell the fresh air and the lake water and the tress. Deb this is lovely! I think its wonderful how you make a lens about the place that you travel to, locking in the memories as you share your wonderful stories. Beautiful photos! Well, except for the leech. [shudder] 5* and lensrolled to Tonto Natural Bridge, the state park attraction we visited this summer! Aside from the leach it looks like a blast! OMG! 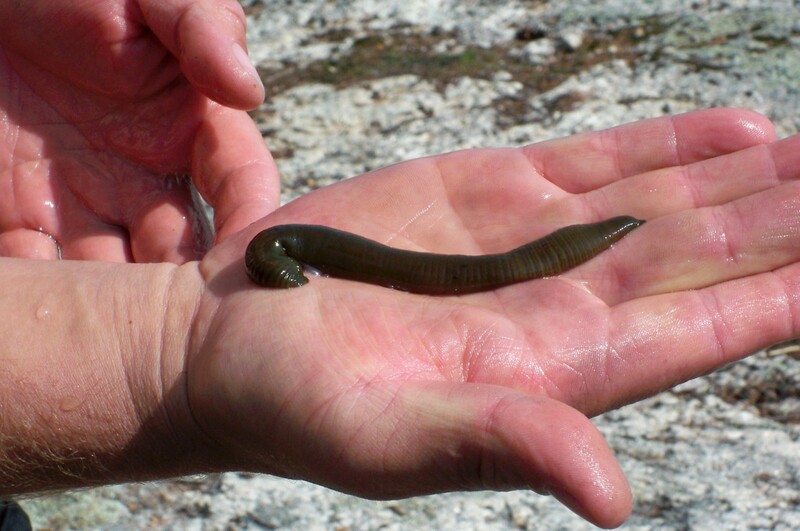 That was one huge leech! That would be just enough to keep me out of Lake Kabetogama. I don't do leeches of any kind.